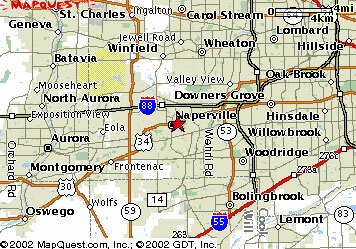 We are easy to get to from anywhere in the Chicago area. Take the nearest expressway to the I-88 toll road. Exit on Naperville Road South. 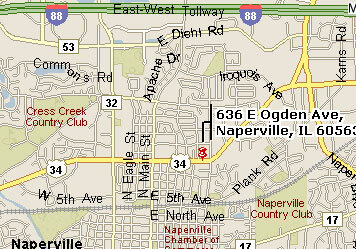 Continue south on Naperville Road until you get to the Ogden Avenue intersection (about 1.25 miles). Turn right or west and go 1.5 miles to our store. We are on the south side of Ogden Avenue, just west of the Columbia Street stop light. Look for the Twin Centers signs. Just west of the Columbia Street stop light.